Bandulu means fake, bootleg, ghetto. Like that white tee from Marshall's with the name of some couturier, screenprinted in gold. That little bit of luxury gives clothing a story, with or without vanity. Bandulu believes in adding this quality to the clothes of our world, through upcycling and craftsmanship. Bandulu takes quality, vintage clothing and rejuvenate life into them through hand embellishments. Quality therefore becomes less about reputation, and more about integrity. You know its real if its fake. 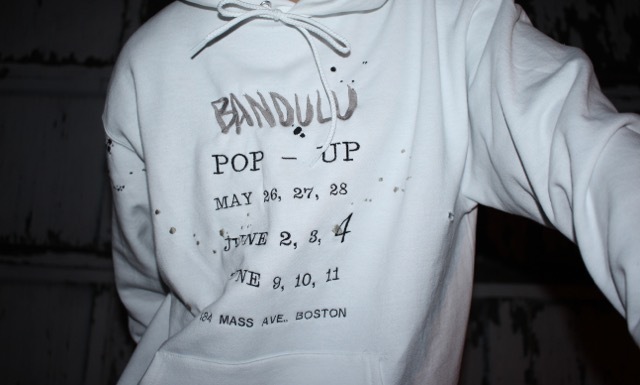 SERIES by Bodega is pleased to announce the Bandulu pop-up.